Hirbat Hizha by S. Yizhar. My, my, what’s with the opaque writing... Hardly a page without a Hebrew word that I have never encountered before, and will never encounter again, because Yizhar creates new words by extremely creative inflections, taking common word stems and bending them in ways that are understandable, but always after a short, unconscious pause, where your mind parses the word and analyzes it to grasp its meaning and appreciate its poetic qualities, and all in a long and sometimes rambling text that is borderline “stream of consciousness,” and often switches between first, second, and third person, so that at the end of each paragraph you have to just gasp. The Stories by A. B. Yehoshua. My first exposure to Yehoshua; some of the stories were really fascinating. The Wind’s Twelve Quarters by Ursula K. Le Guin. When I began reading it (for the Haifa office reading club), Le Guin was still alive. At least she lived longer than Odo (from the last story). Whistling Vivaldi, and Other Clues to How Stereotypes Affect Us by Claude M. Steele. Read following a recommendation by a teammate. Psychology/sociology experiments indicating the presence of stereotype threat, even in a fully supportive environment, and the significant negative impact that it leads to. Some of the experiments have very clear implications for how stereotype-threatened individuals can be helped, via methods to reduce the threat. Some implications are society-wide; for example, the experiment described on page 144 (Paul Davies, Steve J. Spencer, and Claude M. Steele, 2005; regarding the impact of TV ads showing gender-stereotyped women) made me reconsider my position about regulating ad content (with the caveat that I’ve only read about the experiment, and not the original paper). Other important items include a research into the best kind of feedback to provide students with (pp. 162-3), and the power of self-affirmation (p. 174); self-affirmation letters of the kind described here is something I would like to try with my own children. Soonish: Ten Emerging Technologies That'll Improve and/or Ruin Everything by Kelly Weinersmith and Zach Weinersmith. The best popular science book I’ve read in a while. Much of it wasn't new to me, but a much else was, and the presentation format was unbeatable. With some more technical depth (e.g., a complete book about a single topic), this could be a killer format. Oh, and I wish they had included the chapter about quantum mechanics! References and Sources: An Annotated Edition of S. Y. Agnon’s “The Bridal Canopy” by Avraham Holtz. I always knew it is impossible to really understand Agnon without deep familiarity with the Biblical and Talmudic background; this annotated edition does not even attempt to fathom Agnon, it only provides references and pointers to the vast sources that he drew his inspiration from. There is something amazing about such gems that cannot be truly appreciated except by a very small population, yet are shunned by most of that population. Turbo C 2.0 User’s Guide by unnamed technical writers from Borland. Oh, what a wonderful, nostalgic trip down memory lane. Found this by chance, and couldn't resist the temptation to read it. I have 36 volumes of Borland compiler manuals at home; I’ve read about a third of these cover-to-cover when they were new. These books are how I learned object-oriented programming, how I learned assembly language, and how I learned so much more about programming in general. Borland’s writers (always anonymous) were just excellent; I still remember in detail some of the examples -- and some of the jokes... So when I found this one, I couldn't resist briefly going through it. The “Typical Steps in the Debugging Process” flowchart (Figure 4.1, p. 47) is hilarious, though it was never meant to be funny. Trying to debug the sample code from the debugging tutorial just by reading (“Zen debugging,” we used to call it) it was a cute challenge. Plus, getting to recall all the fun of 16-bit x86 programming: segments and offsets, memory models, floating point emulation libraries... And by pure chance, I was teaching a course in OOP that day in the Technion and mentioned the Borland method for C++ object layout in memory. When I asked the students (most of them in their early twenties) if they knew what Borland was, only one elderly gentleman in the back raised his hand. Sic transit gloria mundi. Jade Rosary Beads by Boris Akunin (volume XI in the Erast Fandorin series). Translated by to Hebrew by Yigal Librant (for some reason, I failed to find any English translation listed online; the volume published as “Erast Fandorin 11”, All The World’s A Stage, is actually volume 12). This book is a string of gems, indeed... And of course, anyone who read The Name of the Rose couldn't fail to point at the murderer in the Eco-inspired story, just based on the character’s physical description. National Myths in Israeli Culture: A Reader, edited by Basmat Even-Zohar. Open University internal edition. An eclectic collection of articles, propaganda posters, and more from Israel’s history since shortly before the State was founded. Java 8 Lambdas: Functional Programming for the Masses by Richard Warburton. So this is how we'll end up reducing y'all to functional programming. Now if we could only switch you to an S-expression based syntax, too... The book is concise, well-written, and (unlike many books in the same genre) assumes the reader is an intelligent person. If you’re not familiar with lambdas, this is a great place to start, and I appreciate the way it also covered peripheral topics such as how lambdas should be treated in unit testing, how they change our view of certain design patterns (“Command”, I’m looking at you), etc. That said, it seems like this book was never proofread. Typos, non-hyphenated line-breaks in the middle of code fragments, code that couldn't possibly compile, color diagrams that are meaningless in grayscale (p. 82), and so on. A good editor would also have helped: the author often uses a term and only bothers to explain it later, for no good reason. It’s a fine book, but the author deserved a better service from the publisher. Asterix series, volumes 1 through 13 (Astérix le Gaulois to Astérix et le Chaudron), by René Goscinny and Albert Uderzo. Translated (brilliantly) by Anthea Bell and Derek Hockridge. I’ve read many of these before, some in Hebrew translation. Doing a far more careful read now, with more attention to details (from the art to the use of Latin), and it’s fascinating (e.g., look for The Raft of the Medusa in Volume 10). One thing that’s a bit sad is that the humor keeps on oscillating between “just” laughing at national stereotypes to downright racism (e.g., in the manner Africans are illustrated). The Sword by S.Y. Agnon, comics edition by Shay Charka. Agnon as a comic book; and it actually works well. Who would have thunk. Charka’s commentary at the end is illuminating. Captive of a Dream: National Myths in Israeli Culture by Nurith Gertz. The Histories by Herodotus. Translated by Henry Cary, edited and annotated by Chris Scarre. Folio Society 1992 edition. An epic text about an epic war. Fascinating to see how Herodotus, while clearly not impartial in some cases, goes to lengths in citing his sources, listing alternative versions, explaining why he prefers one version over the other, and so forth. It is also interesting to read the text (especially the closing paragraphs) as a cautionary tale to his audience, given the time of writing (just before the Peloponnesian war): living in luxury makes you weak during war. The amount of insane (by modern standards) violence, cannibalism, slaughtering of whole families as a penalty to the father, and so forth makes the reading challenging at times. It is also striking to compare Greek science at the time, surprisingly advanced (Thales the Milesian foretold a solar eclipse, I.74; rivers being diverted, and so on), with Herodotus taking the existence and involvement of the gods for granted, and the nations in his stories (if he is to be believed) following oracularities to such an extent. The Folio Society’s approach to illustrations breaks down completely here. Illustrations are not numbered, and in fact even their pages are not numbered; the table of illustrations at the beginning refers to illustrations being “following page ...” This works for fiction, but is absurd in nonfiction volumes like this one, because the text itself (specifically, the commentaries) completely ignores the illustrations and the maps, even when such references would have made things so much easier. Asterix series, volumes 13 through 36 (Astérix en Hispanie to Le Papyrus de César), by René Goscinny and Albert Uderzo (volumes 13-24, 32, 34), or by Uderzo alone (volumes 25-31, 33), or by Jean-Yves Ferri and Didier Conrad (35 and 36); translated by Anthea Bell and Derek Hockridge (13-33) or Bell alone (34-36). At first, Uderzo alone was very good, but he really jumped the shark in volume 33 (Le ciel lui tombe sur la tête, Asterix and the Falling Sky; aliens? Really?) and did well to allow others to continue in his stead. 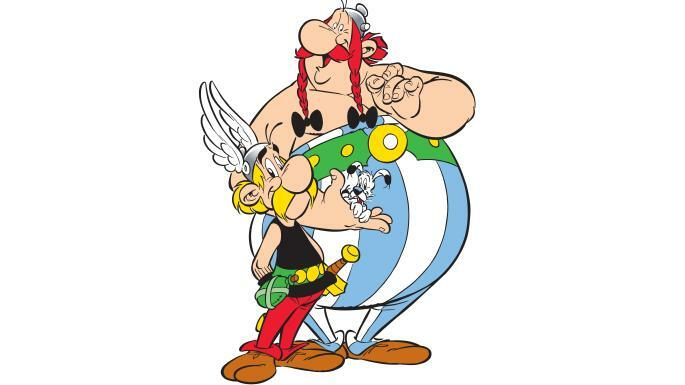 The Ferri and Conrad volumes are good, classic Asterix stories, honoring the tradition, but with no real brilliance either. The Landmark Herodotus: The Histories, edited by Robert B. Strassler, translation by Andrea L. Purvis, introduction by Rosalind Thomas. Read this in just under three weeks (as opposed to over six months for the Henry Cary translation, which I’ve read on-and-off). Overall, this is an outstanding translation, enjoyable and easy to read, unlike Cary’s -- since it sounds like natural English, as a good translation should. Cary needlessly sticks to the original Greek sentence structure, which makes for a difficult reading. (But Purvis does go a bit over-the-top a times, such as “putting two and two together” (1.68) vs Cary’s “reflecting on what was said”). A few specific terminology choices are odd. Herodotus uses the Greek word “barbarians”, which means “foreigners” and has (as Purvis notes) no pejorative implications. So why not translate it as “foreigners,” as Cary did? Likewise “Greece” and “Greeks” (Cary) being a better choice than Purvis’s “Hellas” and “Hellans.” On the other hand, Cary sticks to “tyrant” where Purvis correctly picks monarch, king, absolute ruler, or tyrant, depending on the nation involved (tyrant was a Greek term for Greek rulers). Editing and proofreading is lacking. Footnotes in the Folio Society edition (Cary’s translation) are far superior. Here, the footnotes are extremely repetitive: the explanation about guest-friendship appears dozens of times, as does the discussion about Herodotus using the term “Lacedaemonians” for “Spartans.” Most footnotes are pointers to the numerous (often repetitive) maps throughout the book, which is mostly helpful, but do we really need a footnote with a map pointer every time Asia, Europe, Egypt, or Persia are mentioned? On the other hand, the index is excellent, covering topics, not just keywords. Entries about people effectively tell their story with pointers to the text. The content itself, of course, is still Herodotus, and as such, fascinating. The opening section is a classic Greek tragedy, “The Tragedy of Croesus, King of Lydia,” which made me wonder if it ever was written as a tragedy. Turns out it was. Apparently Tolstoy wrote a short story based on this, Croesus and Fate, in 1886; and there is also Crœsus, King of Lydia: A Tragedy in Five Acts by Alfred Bate Richards (1845). But the real mystery is, is this also one of the lost works of Sophocles? That’s something I would have loved to read. Theories of Social Justice by Yossi Dahan. Rawls’s Veil of Ignorance, libertarians, and all that jazz. The Decipherment of Linear B by John Chadwick. First encountered in GEB, I’ve wanted to read this one for years. Read it now as part of my current focus on ancient Greece; a perfect way to whet your appetite for Homer. The connection between linguistics and archaeology is fascinating (I first encountered this in The Horse, The Wheel, and Language). The deciphering of a code where both the language and the alphabet were unknown, and there are no translated references (as in the case of the Rosetta Stone), is awe-inspiring; and Michael Ventris sounds like an amazing person. The Mycenaeans by Lord William Taylour, introduction by J. Lesley Fitton. Folio Society Edition, 2004. The Minoans by J. Lesley Fitton. 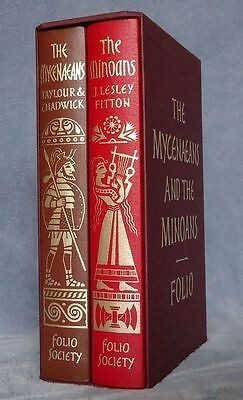 Folio Society Edition, 2004. “Prehistory” was not a time when people told their own story in terms of changes in pottery style. (p. 17). The book is mostly an archaeological review of the Minoan society and what we know of it. You think your society is advanced? Minoans had a sewage system in their city, over 3,000 years ago. Also interestingly, their head deity was probably a woman (a goddess). Part II is a collection of three articles: Arthur Evans and Minoan Crete, by J. Lesley Fitten; Thera in the Late Bronze Age: City and Society, by Phyllis Young Forsyth; and Minoan Paintings by Sinclair Hood. Amusing to read that biological evidence for Minoans travels (Lathyrus clymenum) were found practically in my back yard. In myths, the Greeks “cared little for happy endings, preferring instead to hear of courageous men who are doomed to be overcome by catastrophe.” So different than contemporary art; even when Hollywood presents “dark” movies, they are still driven by happy endings. Are real tragedies still being written, at all? By pure chance, noted the tiny signature on the illustrations of the gods and heroes (pp. 180-183). The style looked familiar, though I wasn't sure if this is just due to memory recollections from browsing this book as a child. As it turns out, the illustrators, Leo and Diane Dillon, also illustrated several book covers I’m very familiar with (e.g., one edition I have of A Wrinkle in Time). 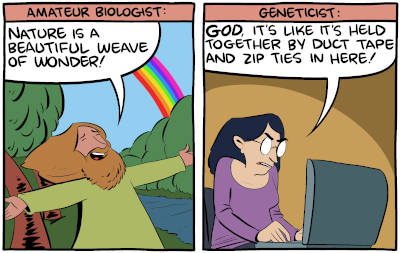 The Most Dangerous Game: A Saturday Morning Breakfast Cereal Collection by Zach Weiner. By now, Weiner is my favorite geek-comics author, surpassing Munroe; his comics are less about math and hard science and more about philosophy and the human condition, and they are often nothing short of brilliant. This is a collection from 2011. By one of these wonderful serendipities, the comic on p.71 is directly based on stories from Herodotus, which I’ve only read the month before. I was very much taken by surprise by how graphic are the battle descriptions, with details full of gore (like Peneleos brandishing the severed head of Ilioneus on his spear, severed and with one of the eyes popped out, the spear coming out of its socket). On the other hand, there is so much compassion and understanding of the loss and of sadness, often focusing on the perspective of the loved ones (parents, wives, children) of the warriors killed or departing into battle. And on the political level... There is much hope for peace early on, when Menelaus and Paris agree to settle their quarrel (and decide who gets to keep Helen) by duel, their people remaining on good terms no matter who wins. But since this peace was disagreeable to the gods, all it takes to break it is a single archer (Pandarus) shooting “against regulation,” leading to an all-out war. This is so sadly similar to modern balances of power, where warmongers on either side will allow any weaponized fool on the other side to be an excuse to end any advancement. So now I call this The Pandarus Syndrome. Conversations on Game Theory by Haim Shapira. A re-read. I think I’ve become far more sensitive since 2012, since I don't recall, in my first reading, squirming so badly from Shapira’s lamentable, old-fashioned, sexist humor. Game of Thorns (my suggested translated title; no official one provided) by Shahar Keren. Silly collection of pun-based cartoons, often horrible, sometimes very good. Gelsomino in the Country of Liars, by Gianni Rodari. Translated by Saviona Mane. Amos Oz and A. B. Yehoshua -- Early Writings, Volume I, by Adia Mendelson-Maoz and Nurith Gertz. He Walked in the Fields by Moshe Shamir. I expected a didactic, oppressive text, based on its description in the book above (about Oz and Yehoshua) and its description of older-generation writings; but I was surprised by a high-quality, enjoyable text that clearly undermines the ethos it is supposed to advocate. 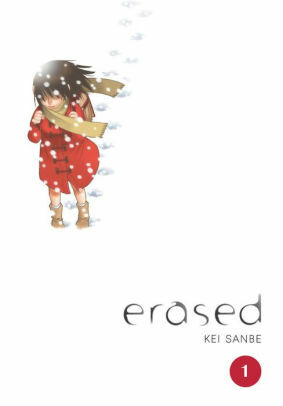 Despite the protagonist’s death being announced in the prologue, the ending still manages to create a surprising tension. Goomics: Google’s corporate culture revealed through internal comics, Vol I: 2010-2015 by Manu Cornet. A hark back to the days when internal debates in Google were, relatively speaking, so naïve. And I’m proud to be listed as a (minor) contributor to this book’s making. Three stories out of the original 1965 edition of Where the Jackals Howl, by Amos Oz, and studying the difference between these and later editions of the same stories (from the 1970s). I actually liked the earlier versions best. Effective Java, Third Edition by Joshua Bloch. If you program in Java without reading this book, your license should be revoked. That said, Bloch still gets it wrong for equals(): his claim that “there is no way to extend an instantiable class and add a value component while preserving the equals contract, unless you’re willing to forgo the benefits of object-oriented abstraction” (p. 42) is wrong, and I have proved it over 15 years ago (and pointed him at his mistake). Amos Oz and A. B. Yehoshua -- Early Writings, Volumes II and III, by Adia Mendelson-Maoz and Nurith Gertz. Unto Death: Crusade and Late Love (2 Novellas) by Amos Oz. The Absolute Sandman Overture by Neil Gaiman and J.H. Williams III. “Destiny sees things as they are, not as we wish them to be. He knows there are no stories, only the illusion of stories: threads and patterns that seem to appear in the pages of existence, given meaning and significance by the observer.” Gaiman does live up to the Sandman standard, I think; but the Absolute edition is a sham. It’s a short series, and this should have been a thin volume, but then they would have had a hard time justifying the hefty price tag; so they included the entire series twice in this volume, the second copy being the book as it seemed before coloring and editing. A few random pages were interesting (seeing Williams’s work), but... seriously. The Lover by A. B. Yehoshua. Am I the only one bothered by the borderline pedophilia (Adam and Tali)? Where the Jackals Howl and Other Stories by Amos Oz, the “corrected” edition of 1975.